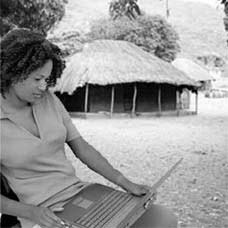 Peace Corps Online: December 9, 2004: Headlines: Staff: Journalism: Television: The Mercury News: "I'm going out telling the story that I think is the biggest story of our time: how the right-wing media has become a partisan propaganda arm of the Republican National Committee," says Moyers. "We have an ideological press that's interested in the election of Republicans, and a mainstream press that's interested in the bottom line. Therefore, we don't have a vigilant, independent press whose interest is the American people." December 9, 2004: Headlines: Staff: Journalism: Television: The Mercury News: "I'm going out telling the story that I think is the biggest story of our time: how the right-wing media has become a partisan propaganda arm of the Republican National Committee," says Moyers. "We have an ideological press that's interested in the election of Republicans, and a mainstream press that's interested in the bottom line. Therefore, we don't have a vigilant, independent press whose interest is the American people." Peace Corps Online: Directory: USA: Special Report: Peace Corps Deputy Director Bill Moyers: December 9, 2004: Headlines: Staff: Journalism: Television: The Mercury News: "I'm going out telling the story that I think is the biggest story of our time: how the right-wing media has become a partisan propaganda arm of the Republican National Committee," says Moyers. "We have an ideological press that's interested in the election of Republicans, and a mainstream press that's interested in the bottom line. Therefore, we don't have a vigilant, independent press whose interest is the American people." "I'm going out telling the story that I think is the biggest story of our time: how the right-wing media has become a partisan propaganda arm of the Republican National Committee," says Moyers. "We have an ideological press that's interested in the election of Republicans, and a mainstream press that's interested in the bottom line. Therefore, we don't have a vigilant, independent press whose interest is the American people." NEW YORK - "I was just in the editing room, working on the last piece," Bill Moyers says. "I thought: `I've done this so many times, and each one is as difficult as the last one.' Maybe finally I've broken the habit." It hasn't been so much a habit for Moyers as a truth-telling mission during his three decades as a TV journalist. But come next week, he will sign off from "Now," the weekly PBS newsmagazine he began in 2002, as, at age 70, he retires from television. For that, his absence after the Dec. 17 "Now" will be all the more keenly felt: Moyers' interest has always been the American people. A humanist who's at home with subjects ranging from the power of myth to media consolidation, from drug addiction to modern dance, from religion to environmental abuse, Moyers has produced hundreds of hours of diverse programming on issues that others shortchange, sidestep or simply fail to notice. And through it all, he has looked upon his audience not as targeted consumers, or as voters split along a Red State-Blue State divide, but as his fellow citizens. He's a citizen-journalist with a robust background, this Texas native who, early on, earned a divinity degree (he's an ordained Baptist minister) then served as special assistant to President Johnson, and for several years was publisher of the Long Island newspaper Newsday. In 1971, he came to public television as host of "This Week" and "Bill Moyers' Journal," and, next, joined CBS News to do similarly civic-minded programming. Then in 1986 he and his wife, Judith Davidson Moyers, became their own bosses by forming Public Affairs Television, an independent shop that has not only produced documentaries such as "A Walk Through the 20th Century," "Healing and the Mind" and "A Gathering of Men with Robert Bly," but also paid for them through its own fund-raising efforts. "Judith and I will take several months to catch our breath," says Moyers during a recent conversation at the soon-to-be-vacated office he rents at Thirteen/WNET's Manhattan headquarters. "Then I will think about the Last Act - capital L, capital A - of my life." He does have one immediate project: a book he will write about his years with Johnson. But he has no TV ventures in mind. "It has gained traction," says Moyers - if only by default, in an era where most TV journalism gravitates toward the sensational or trivial. "As the networks have raced to the bottom, it is very easy to stand out if you just do good journalism. We've been trying to do good journalism, and it filled a real void." One example of typically good journalism on "Now" not long ago: an in-depth look at the record of President Bush's nominee for secretary of state, Condoleeza Rice, who in her current post as national security adviser "dreadfully misjudged the terrorist threat leading up to 9/11, and then misled America and the world about the case for invading Iraq," as Moyers concluded. It was the sort of report unlikely to be found on most newscasts, and even less likely to endear a reporter to the powers-that-be, on whose good graces the media has grown all too reliant. But Moyers believes that challenging those in power is a journalist's duty - and, consequently, his. "What they're really objecting to is not my ideology," he says in his thoughtful, almost pastoral manner. "I'd be doing this if the Democrats were in power. It's not that I'm a liberal, it really isn't. It's the fact that I'm doing journalism that isn't determined by the establishment. "You don't get rewarded in commercial broadcasting for trying to tell the truth about the institutions of power in this country," he goes on. "I think my peers in commercial television are talented and devoted journalists, but they've chosen to work in a corporate mainstream that trims their talent to fit the corporate nature of American life. And you do not get rewarded for telling the hard truths about America in a profit-seeking environment." 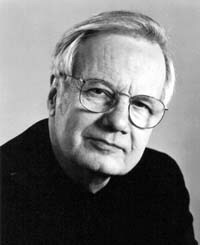 Through his own devices, Moyers has been the journalist he wanted to be, while honored for it with more than 30 Emmys and 10 Peabody awards. "I've just been doing the kind of journalism that ought to be done, IF you had the opportunity to do it," he insists. "The fight has been to create that opportunity and that independence." It's been a fight he fought well. But where will tomorrow's Bill Moyers come from? "We have got to nurture the spirit of independent journalism in this country," he warns in reply, "or we'll not save capitalism from its own excesses, and we'll not save democracy from its own inertia." Take our new poll. NPCA members begin voting this week on bylaw changes to streamline NPCA's Board of Directors. NPCA Chair Ken Hill, the President's Forum and other RPCVs endorse the changes. Mail in your ballot or vote online (after Dec 1), then see on how RPCVs are voting. Congressman Norm Dicks has asked the U.S. attorney in Seattle to consider pursuing charges against Dennis Priven, the man accused of killing Peace Corps Volunteer Deborah Gardner on the South Pacific island of Tonga 28 years ago. Background on this story here and here. Make a difference on November 2 - Vote. Then take our RPCV exit poll. See how RPCV's are voting and take a look at the RPCV voter demographic. Finally leave a message on why you voted for John Kerry or for George Bush. Previous poll results here. 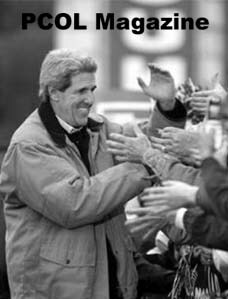 The Kerry campaign wants the RPCV vote. Read our interview with Dave Magnani, Massachusetts State Senator and Founder of "RPCVs for Kerry," and his answers to our questions about Kerry's plan to triple the size of the Peace Corps, should the next PC Director be an RPCV, and Safety and Security issues. Then read the "RPCVs for Kerry" statement of support and statements by Dr. Robert Pastor, Ambassador Parker Borg, and Paul Oostburg Sanz made at the "RPCVs for Kerry" Press Conference. RPCV Carl Pope says the key to winning this election is not swaying undecided voters, but persuading those already willing to vote for your candidate to actually go to the polls. Take our poll and tell us what you are doing to support your candidate. Finally read our wrap-up of the eight RPCVs in Senate and House races around the country and where the candidates are in their races.